Leonardo DiCaprio is starting off 2016 as a single man. The Golden Globe nominee has officially called it quits with his model girlfriend, Kelly Rohrbach, after several months of dating. According to a source, the pair split a few months ago. "This is a really busy time for both of them," the source said. "They are both just so busy that it was hard to make a relationship work." 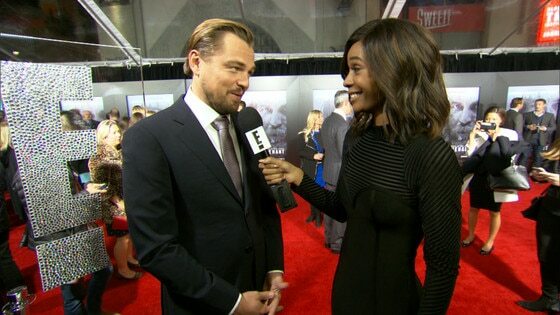 As Hollywood awards season kicks off, DiCaprio has been immersed in promoting his latest silver screen venture The Revenant, for which he has already garnered Golden Globe and Screen Actors Guild nominations as well as plenty of Oscar buzz. READ: Leonardo DiCaprio and Model Kelly Rohrbach Kiss During NYC Bike Ride: Details on Their Casual Romance! As for the blond bombshell, Rohrbach is embarking on a big screen project of her own, rocking the iconic red one piece bathing suit as CJ Parker in the upcoming Baywatch feature film adaptation. "For our #BAYWATCH and the iconic role of 'CJ Parker' I had to make sure @kellyrohrbach was gorgeous running in SLO-MO…," Dwayne Johnson confirmed on Instagram while posting a video of the beauty dawning the signature suit. While the timing may not be exactly right for this genetically perfect pair, there are no hard feelings between them. "They are still very friendly," the source added. "They really enjoy each other's company."